Enrollment in MyOchsner – Ochsner offers a great way to connect through the online patient portal, MyOchsner, which is free and provides you access to your Ochsner medical record! Smartphone – You must have your own smartphone to participate (either an iPhone or an Android phone such as a Samsung, Motorola, HTC, LG, Google Nexus, or Sony phone). Digital blood pressure cuff – Using a digital blood pressure cuff that connects to your smartphone, you will be able to send your home blood pressure readings directly to your medical record for review by your Hypertension Digital Medicine Team. During enrollment, you will be prompted to visit an O Bar to obtain a cuff. As a patient, you will receive regular feedback from our hypertension care team and monthly reports regarding your progress. Your Ochsner physician will also receive regular reports and have full access to your data and your care team's recommendations within your Ochsner electronic medical record. There are numerous health benefits to you from lowering blood pressure. Uncontrolled high blood pressure increases a person’s risk of developing a heart attack or stroke, which are the first and third leading causes of death in the United States. Every 20mmHg increase in systolic blood pressure above normal doubles the risk of dying from a heart attack or stroke. In fact, a recent study suggests that following the evidence-based guidelines for blood pressure control would result in approximately 56,000 fewer heart attacks and strokes and 13,000 fewer deaths annually in the United States. 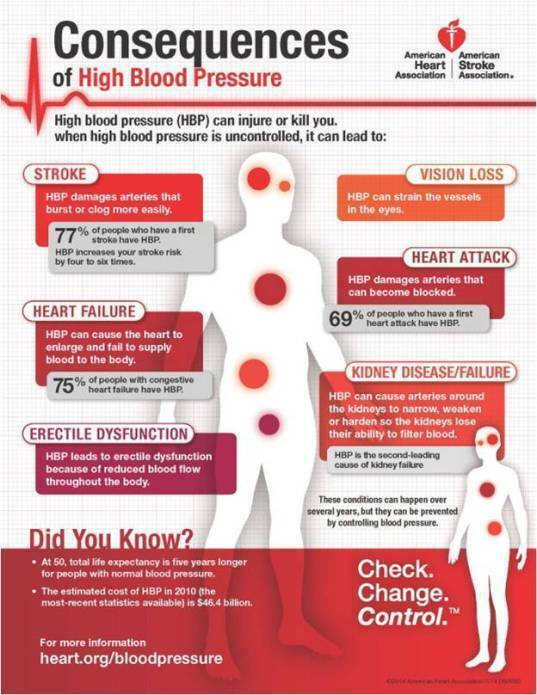 In addition to causing heart attacks and strokes, high blood pressure is also the second leading cause of kidney failure. It can also lead to vision loss, heart failure and erectile dysfunction. Lowering blood pressure into the safe range can markedly lower these risks. At age 50, total life expectancy is five years longer for people with normal blood pressure compared to those with high blood pressure.